Let’s talk inflammation. Or rather, let’s talk anti-inflammation. Today, we’ll discuss some of our favourite natural remedies to fight inflammation and manage levels in the body without relying on medications and invasive treatment. First, let’s get into what exactly inflammation is. While many people are quick to judge and deem inflammation entirely evil, that’s not exactly the case. Like with anything, we need a balance. Inflammation is simply the body’s response to injury. You might wonder how the body faces threat of chronic inflammation if the body isn’t chronically injured, but we’re not just talking about a sprained ankle here. This acute response is the good kind of inflammation, and without it, our wounds, bruises, sprains, and fractures would never heal and instead, become infected. The bad kind of inflammation is chronic inflammation, or in other words, the “wear and tear” kind. The main difference between the two is that chronic inflammation is low-grade, often underlying, and happens when the body senses an internal threat. This is why people who suffer from autoimmune diseases such as rheumatoid arthritis or irritable bowel syndrome need to address inflammation. The problem comes down to the body’s lack of distinction between the internal threats that require and do not require an inflammatory response. When we don’t require one, we have a build-up of inflammation, essentially for no good reason. Those white blood cells have nothing to attack, so they latch on to internal organs, tissues, and cells without reason and weaken them. Even if the threat is valid, we often don’t recognise it or the inflammatory response. This type of inflammation that is pervasive and persistent can eventually lead to heart disease, diabetes, chronic lung issues such as bronchitis, worsening bone health, and cancer. Beyond autoimmune disease, internal threat, and injury, additional causes of inflammation include excessive sugar and carbohydrate consumption, chemicals and environmental toxins including pollution and food/cosmetic additives, pathogenic bacteria, and chronic stress. It’s also easy to trace back inflammation to leaky gut or hormonal imbalances. These are often self-perpetuation, meaning they are both a cause and a symptom of inflammation. One of the best ways to manage and treat inflammation is through the diet. Following an elimination plan – something like the autoimmune protocol – can drastically reduce inflammation and even help people get off medication permanently. It might also be looking into gut-healing protocols and vagus nerve stimulation. Supplementation can be just as important though, and we know there are quite a few natural anti-inflammatory healing remedies out there. 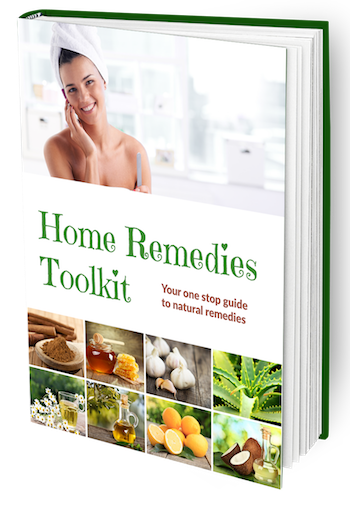 If you’re suffering from inflammation, autoimmune disease, leaky gut, or simply want to use something as a preventative measure, we have the tool kit you need. Curcumin – the active constituent in turmeric – is an anti-inflammatory powerhouse. It’s effective for both treatment and prevention of chronic inflammatory disease. Research shows evidence that curcumin interacts with molecular targets associated with inflammation, and down-regulates activities of associated enzymes, inhibiting the production of inflammatory cytokines. It is proven to be effective for reducing symptoms of gastrointestinal distress, rheumatoid arthritis, pancreatitis, and even cancer, with patients showing decreases in tumor size over time. The key? Making curcumin bioavailable and easily absorbed by the body. In order to increase turmeric bioavailability, it’s recommended to serve it with a dash of black pepper. This is due to black pepper containing piperine, which studies show can increase the ability for the body to absorb those benefits by up to 2,000%. Try adding a cup of golden milk to the mix each day. We’re not saying a good probiotic and simply ensuring some good bacteria gets into your daily diet will cure everything, but we are big believers that it can be the missing link to health for many folks. Probiotics are often used to address poor gut health and intestinal permeability, but when we link everything together and draw some lines from one thing to the other, we can recognize gut health as a major factor in how much inflammation impacts our lives. Thus, treating gut health inherently includes addressing our microbiome with some gut-healing foods and supplements. Research shows a direct link between certain strains of bacteria and inflammatory activity. This study presents clear association between lactobacilli and mucosal inflammation, while this study shows evidence that probiotic intake could provide therapeutic and noninvasive treatment for inflammation central to the intestinal tract (i.e. in digestive disorders such as ulcerative colitis). Intestinal inflammation is not just limited to digestive disorders; research also shows that probiotic administration can address intestinal inflammation in patients with cystic fibrosis. All in all, there is a very clear relationship between the gut and inflammation, and it’s a great place to begin addressing the underlying problem. Ginger has been used for centuries for its healing and medicinal properties. We will always recommend ginger as a natural helper for good digestion and managing inflammation, and that’s why it’s one of our top picks for must-have essential oils. It targets intestinal inflammation and respiratory inflammation which is why ginger tea or ginger ale is always recommend for both tummy aches and colds. This natural remedy is a powerful one when we strip down ginger to its active components, and look at why they’re anti-inflammatory. We can trace most of its beneficial properties back to gingerol and zingerone. We know these constituents modulate biochemical pathways involved in chronic inflammation. Research shows that ginger can reduce inflammation in patients with colitis, and help manage inflammation in individuals with type-2 diabetes, demonstrating its broad range of inflammatory targets. Additional studies show promising evidence that supplementation with ginger can also mitigate pathogenesis of inflammation and metabolic response, so it could be especially useful for managing obesity-related inflammation or individuals with metabolic disease. Try brewing ginger in your tea or using ginger oil which can be even more effective than ginger in its whole food form. Spirulina is no doubt one of our all-time favorite super foods. It should come as no surprise that this deeply pigmented green plant powder is a nutritional powerhouse, and also a fantastic manager for inflammation. This green from under-the-sea (yep – it’s algae!) is chock full of antioxidants which help to reduce oxidative stress in the body. We can often equate this with anti-inflammatory properties, because studies show evidence that diets rich in antioxidants from foods like spirulina reduce cytokine levels – those pesky inflammatory cytokines! With spirulina, we also see a reduction in oxidative stress centralised in the joints which shows as inflammation. Research shows that it’s an especially therapeutic food for those with diabetes. It improves inflammation, blood lipid profiles, and antioxidant capacity. It’s also great for managing healthy cholesterol levels, and we know that high levels of LDL (bad) cholesterol causes an inflammatory response. Spirulina as a functional food can help to end the vicious cycle, helping get both inflammation and cholesterol under control. Magnesium is such an important mineral for us, and it’s doubly important when we consider its strong impact on inflammation in the body. Magnesium deficiency is clearly linked to heart disease, metabolic syndrome, hypertension, and type-2 diabetes – all of which include systemic inflammation as a commonality in development. Deficiency is more common than you might think, and it could be exacerbating inflammation or the leading cause of it. Deficiency in any important vitamin or mineral – magnesium, in particular – can elicit systematic stress which triggers that immune response and oxidative stress, leading us straight to inflammation. Research indicates that magnesium deficiency exaggerates the immune response, which is basically what we can tie this down to. That immune response is driving up inflammation because it doesn’t have the nutritional means to self-regulate. Another study shows that its pro-inflammatory response promotes endothelial dysfunction, and we know that endothelial cells play an important role in cardiovascular disease. When we link these components to the big picture, we can better see how addressing inflammation reduces our risk of disease. Eating foods rich in magnesium is often not enough, so supplementing with magnesium oil or taking epsom salt baths is recommended. Oh, the wild and not-so-wonderful world of inflammation! We hope you learnt more about where inflammation comes from and how it works in our bodies short-term and long-term. If you liked this, make sure to share, and stay tuned for more research from us!